St Edburgha's Church retains much of its medieval appearance. Documentary evidence dates the church to 1165, but the oldest visible part of the building is a 13th-century doorway and chancel wall. Much of the church was rebuilt after 1300, the tower being added by Henry Ulm in the 15th century. The church's own website is at - http://www.stedburghas.com/. 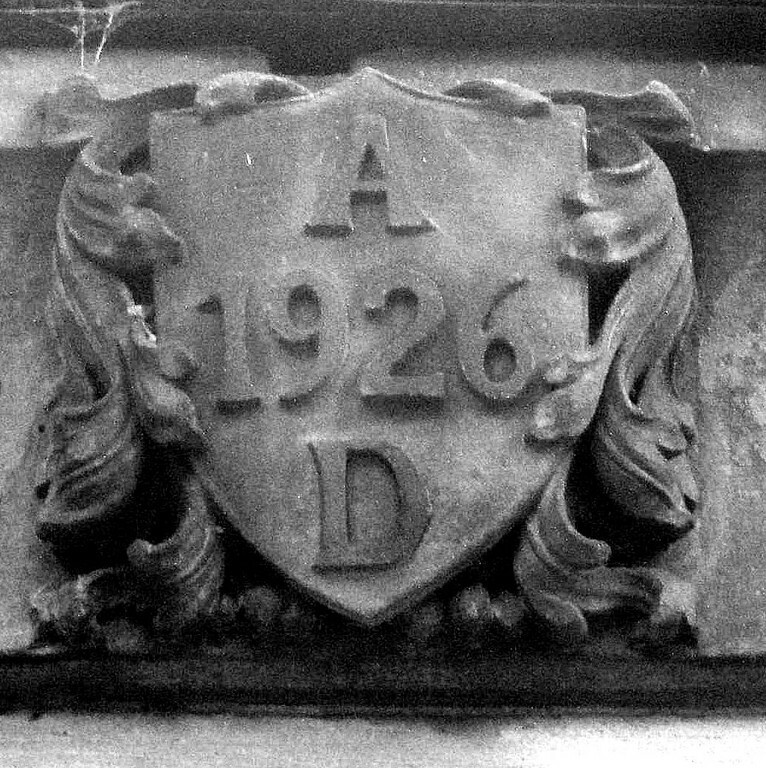 See also A Church near You - http://www.achurchnearyou.com/yardley-st-edburgha/. You might also be interested in - A History of Birmingham Places & Placenames . 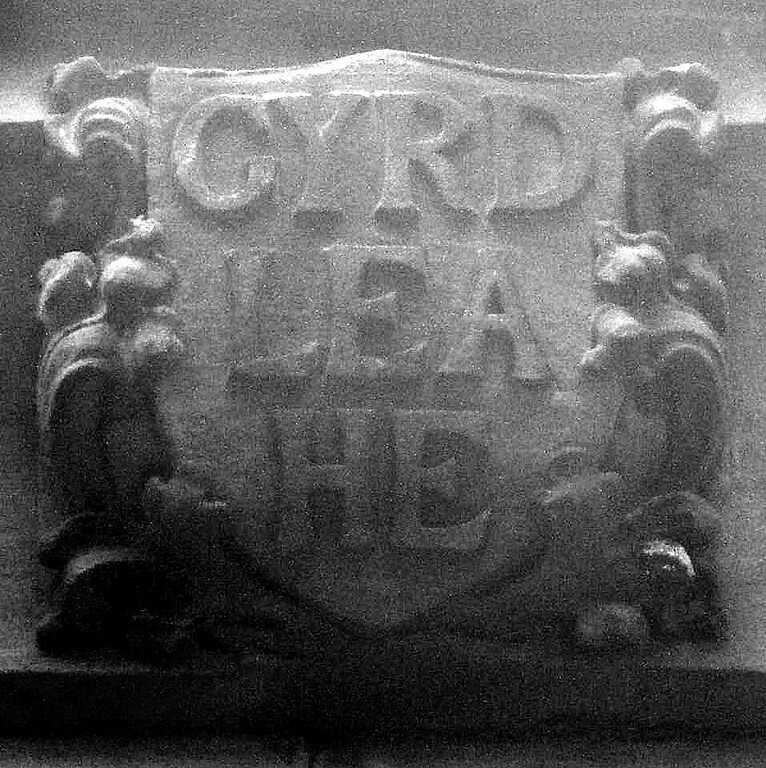 . . from A to Y - Yardley - http://billdargue.jimdo.com/placenames-gazetteer-a-to-y/places-y/yardley/. Press function key F5 to refresh the map. 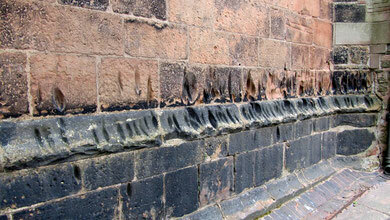 The substantial medieval church of St Edburgha retains much of its early appearance and has Grade I Listed status. Although the date of the church's foundation may be earlier, the first known documentary evidence dates a church here to 1165. 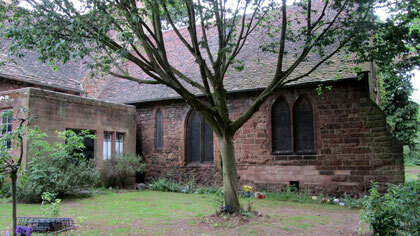 The oldest visible part of the building is the early 13th-century south doorway and the south wall of the chancel. 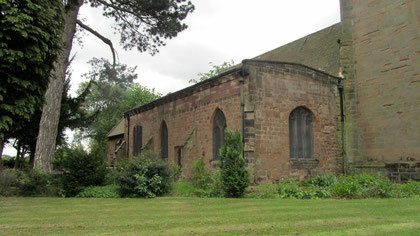 This is poorer quality masonry than the later church and may well be built of local stone; there was an exposed outcrop of red sandstone at Glebe Farm in the north of the parish. Perhaps in part because of the deterioration of the stone, much of the church was rebuilt and extended in decorated gothic style sometime after 1300. Later in the 14th century the high chancel arch was built when the chancel itself was extended; the north and south transepts were added at the same time. The south transept is known as the Gilbey Chapel after Dr Gilbey, who inherited Hay Hall, Tyseley from the Hay and Este families. It is believed the chapel was formerly dedicated to St Thomas à Becket of Canterbury. Such projects have always been expensive and there must have been considerable local wealth and commitment to carry out these undertakings. The embattled west tower with its large sandstone blocks and crocketted spire was built by the master mason, Henry Ulm in the 15th century. (Ulm is known to have completed work on Sheldon's tower in 1461.) The carved oak porch is contemporary with the tower, as is the north aisle which was also added at this time. 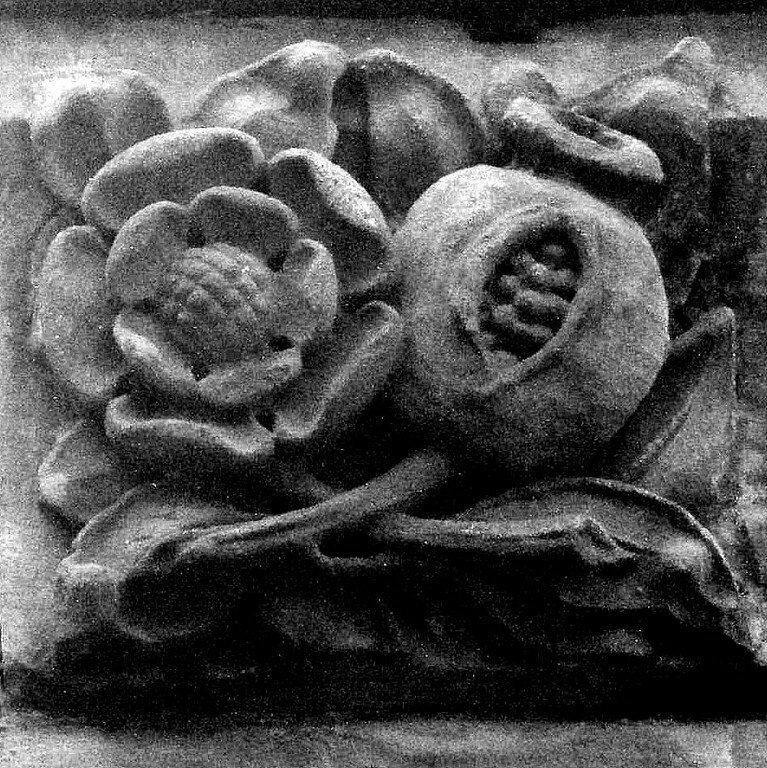 Set in the north wall is a Tudor doorway above which are carved a Tudor rose and a pomegranate. That fruit was the personal symbol of Catherine of Aragon who in 1501 married Henry VII's oldest son, Prince Arthur. After his death she married Henry VIII with well-known consequences for the English Church and the royal succession. 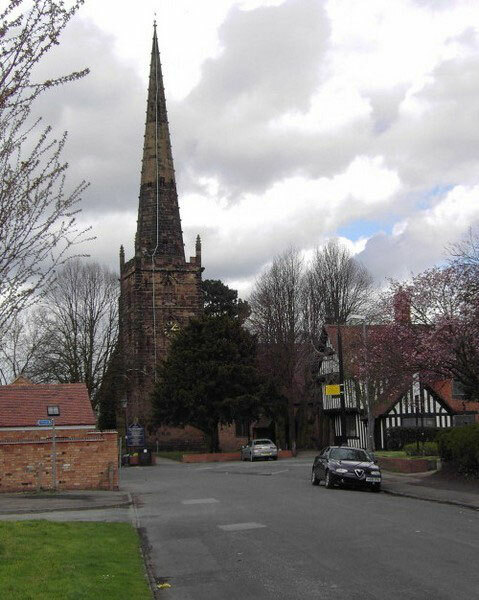 Among many other properties, Catherine was granted the manor of Yardley in 1533 as part of the divorce settlement. After the former queen's death in 1536 Yardley reverted to the Crown. The chancel was lengthened again in 1890, the north-east vestry added and the south transept partly rebuilt. In 1926 a new roof was built supported now by steel girders but with the ancient beams bolted beneath them. 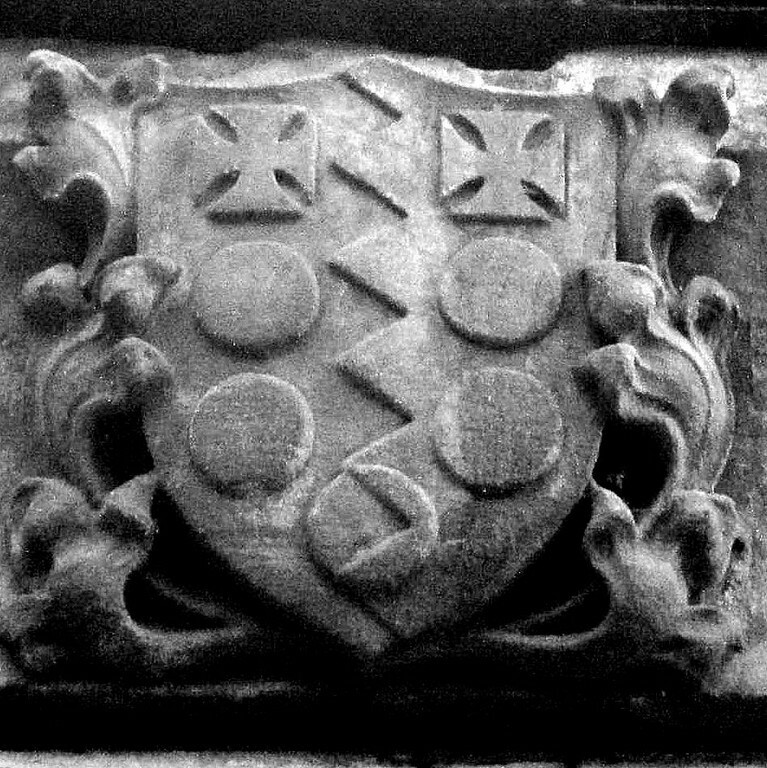 New stone courses were set on the top of the aisle walls with corbels bearing the two oldest spellings of Yardley, as well as royal, diocesan and family arms, the pomegranate of Catherine of Aragon and the Tudor rose. Inside the church stands the wooden panelled pulpit of 1627. Contrary to medieval tradition and modern practice, this was installed in front of the altar at a time when the focus of Anglican services moved towards expounding the word of God and away from the ritual of the mass. By the middle of the 19th century, an appreciation of the orginal medieval arrangement had come back into vogue. However, the Birmingham artist, A E Everitt who visited Yardley in 1874 found these 17th- and 18th-century elements 'quaint and picturesque.' In the chancel were the 17th-century altar rail and communion table, heraldic devices and funerary monuments, a flat ceiling and a marble font which, 'although ecclesiastically out of place, yet aid the general effect of the whole.' Clearly his views held no sway, as the chancel was shortly afterwards cleared and the church put back to its traditional arrangement, as it now appears. From at least 1552 there were two bells at Yardley; in 1638 Hugh Watts of Leicester hung three bells here, no doubt reusing the existing bell metal. Another bell cast by John Martin of Worcester was added in 1653 and by 1691 William Bagly had added a fifth. The bells were rehung in 1892 by Henry Bisseker of Birmingham and only ten years later new bearings and a sixth bell were supplied by the Birmingham bellfounder, James Barwell. In common with many Birmingham bells, all were recast and scientifically tuned by Taylor's of Loughborough in 1950. Two new trebles were added and the peal hung in a new frame. Yardley is one of Birmingham's premier peals. The church is surrounded by a graveyard which was certainly in use from the Middle Ages and which was extended to the north in 1833. It is no longer in use. and there is a wealth of Yardley information on the Acocks Green History Society website - http://aghs.jimdo.com/. See also Sally Lloyd/ sally_parishmouse's collection of photographs on flickr - http://www.flickr.com/photos/parishmouse/sets/72157594291256183/. Historic England website - https://historicengland.org.uk/listing/the-list/list-entry/1343385. 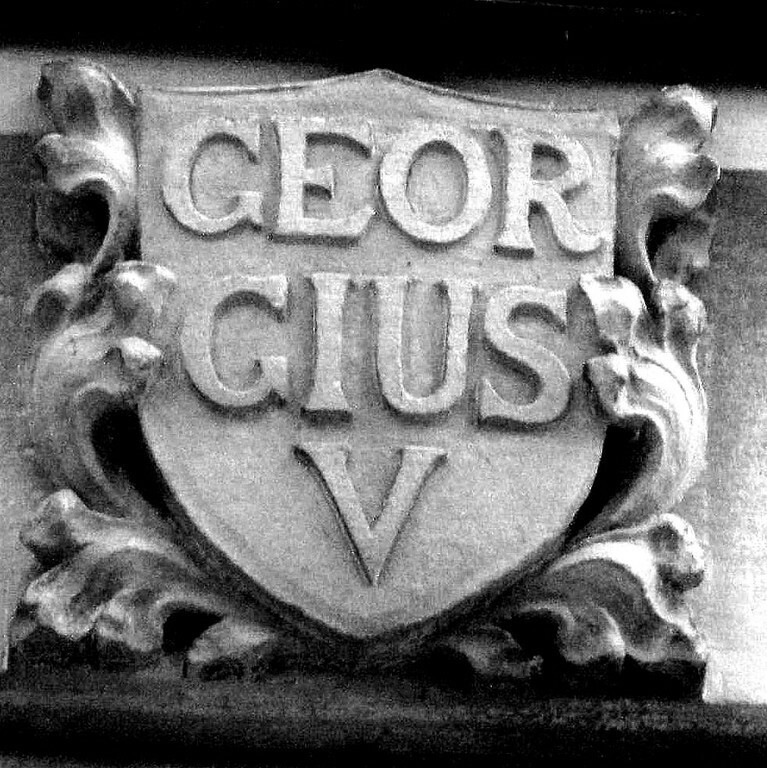 Acknowledgement - See British History Online - Victoria County History of Warwick Volume 7 The City of Birmingham ed. W B Stevens 1964 - http://www.british-history.ac.uk/report.aspx?compid=22975. Thanks to Enid Seeley, a great source of information, who gave me access to the church. Arrangements for visits can be made via the contacts page on the church website (See above).